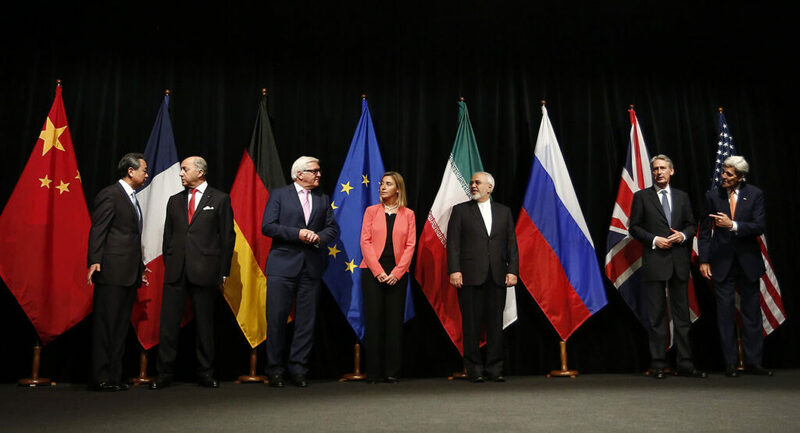 Representatives of China, France, Germany, the European Union, Iran, the United Kingdom and the United States announced the conclusion of the Joint Comprehensive Plan of Action as a solution to Iran’s contentious nuclear program on July 14, 2015 in Vienna, Austria. Representatives from Russia are conspicuously absent (Wikipedia). Well, it’s done. The Iran Deal, formally named the Joint Comprehensive Plan of Action (JCPOA), was finally signed in Vienna on July 14, and the negotiators all went home feeling like winners. Few observers had the foresight to predict such an event would occur less than fifteen years after 9/11 kicked off America’s “War on Terror” and President Bush put Iran in his Axis of Evil. You can read the full 159 page JCPOA here, courtesy of the Russian Ministry of Foreign Affairs. Moscow’s masters of propaganda released it first, just like their honored guest Edward Snowden would have wanted. If you would rather not visit a Kremlin website, Buzzfeed embedded the JCPOA document within their coverage of the deal here (just scroll down a bit to see it). Or, if you would rather spend your time reading a novella of the same length, you can stay right where you are for this correspondent’s thorough analysis and insights on the deal of the decade. This review is broken up into two parts. The first is an in-depth analysis and forecast of how all the signatories (the “E3/EU+3 and Iran”) and other nations will be affected by the deal, and how these actors will adjust their foreign policies as a result. The second section is an exploration of a contingency that your regular news outlets probably haven’t covered: What if Iran already has a hidden nuclear arsenal? Additionally, a summary of the main 20 pages of the JCPOA is available here to explain how the deal works. Feel free to skip around to the parts that interest you most and see the summary for reference. The remaining 139 pages of the JCPOA consist of various appendixes that explain the finer details of the deal. If you’re interested in the precise numbers of centrifuges and other materials Iran is allowed to have, check out the appendices linked in the full text. Strategically, Iran wins big from this deal, as long as it allows the International Atomic Energy Agency (IAEA) to do its job and it respects the terms of the Joint Comprehensive Plan of Action. The execution of this deal will signal a new geopolitical era in the Middle East, one in which Iran and the West will interact regularly. There can be no doubt that the Iranians will be gaining influence in Iraq—once the exclusive stomping ground of NATO forces. The Shia-dominated Iraqi government is already accepting substantial aid from Iran for its fight against the Islamic State (IS), and this aid comes without the kinds of restrictions attached to western aid; Iran will surely try to present itself as a more favorable ally to Baghdad than Washington has been. Furthermore, it would come as no surprise if Iran and the US re-established formal diplomatic relations and reopened their respective embassies within a few short years. After all, President Obama has already reestablished diplomatic relations with Cuba, another longtime strategic rival and enemy of the United States. Iran is also in talks with the UK to reopen a British Embassy in Tehran, and British Foreign Secretary Phillip Hammond has publicly stated that he hopes to reopen the British embassy there by the end of 2015. In early 2016, many of the UN and EU administered sanctions against Iran will be removed on “Implementation Day” under the terms of the JCPOA, and the Iranian economy will be poised for a period of significant growth (see the attached document above for a breakdown of the timeline for executing the agreement, among other information). The benefits could be huge, since the Iranian economy has been largely isolated from Western markets for years. As Western businesses move in to claim their stakes in Iran, Tehran will be overseeing Iran’s resurgence onto the global energy markets. Bijan Zangeneh, Iran’s Minister of Petroleum, claimed that the country could boost output to 500,000 barrels per day (bpd) as soon as the deal was signed, and that total output would grow by a million bpd within six months. His claims are unlikely to come to fruition within such a short timespan; however, it is important to remember that Iran exported over 40% of its oil to Europe before the sanctions regime was implemented. Deputy Petroleum Minister Mohsen Qamsari said Iran would attempt to recapture that market share, but first the country will focus on building upon its existing 1 million bpd of exports to East Asian markets. Iran stated recently that it would not allow American inspectors on the IAEA team in Iran due to suspicions about US motives, and that only nations with formal diplomatic relations with Iran could contribute inspectors to the team. But this is unlikely to make the deal untenable. The IAEA and UN inspectors working in Iraq prior to 2003 were right about the nature of Saddam’s alleged WMD program, while US intelligence was dead wrong, so whatever team the IAEA assembles should be more than competent to carry out its tasks. Iran will only get to keep part of the Natanz center as a base for isotope enrichment research, and the Arak heavy water facility will be renovated and have its activities heavily restricted. On the whole, Iran’s enrichment capabilities under the deal will make it impossible to produce enough radioactive material for nuclear weapons, so long as they hold up their end of the bargain. President Obama has been trying to wash his hands of the Middle East since he was first elected in 2008, and the Iran deal may very well be the bar of soap he has been looking for all along. Iraq has been the foreign policy bane of his presidency, and it still is. Iran and the US have both spent years blaming each other for causing problems in Iraq, but Washington knows that there are some small advantages to be gained from having Iran back on the scene in the region. Every IS soldier killed by an Iranian bullet or bomb is an IS fighter that the American military didn’t have to kill. For better or worse, the United States and Iran now have a common enemy. However, no one in the US government will ever admit to stepping aside from Middle Eastern conflicts to let Iran fill the gap, and it remains highly unlikely that Iranian and American forces would jointly conduct operations against IS. As Obama said, “This deal is not based on trust,” and the two countries are still generations away from formulating a cordial relationship. Contrary to popular beliefs held among some Republicans, President Obama and his administration are not likely to tolerate any future Iranian pursuit of a nuclear weapons program. Obama’s political opponents can cite many foreign policy blunders, such as the unilateral “red line” imposed on Bashar al Assad’s regime, as evidence that Obama cannot be trusted to keep his word in the Middle East. But the reality remains that the US foreign policy apparatus is largely in support of the deal, since it will reduce the overall level of unpredictability of Iran’s behavior. Additionally, the multilateral deal will have widespread support internationally, and it actually has a fairly well designed dispute resolution mechanism for dealing with any misbehavior by its signatories. It is far better to have the IAEA conducting regular inspections under an internationally recognized agreement than it is to have the alternative: Israel and the US creating media hype about Iran’s alleged nuclear capabilities every other year, only to be calmed after motorcycle-borne assassins knock off an Iranian scientist or two. The JCPOA creates a structure for dialogue in the region that has not existed in previous years, and that structure could very well avert a disaster. The US learned its lesson in the Cuban Missile Crisis that being able to communicate with rivals is essential, and the infamous red telephone between Moscow and Washington was born as a result. For once, it appears the US learned something from history. The “E3” are the European nations of France, Germany and the UK, and the EU is the European Union, which also took part in the talks since it has collectively passed sanctions on Iran in the past. France, Germany, the UK and the collective EU all make similar gains from this agreement, so it makes sense to analyze them together, despite the nuanced differences between the foreign policies of each of these parties. Europe stands to reap significant economic benefits as Iran emerges from its shell in the coming months. Previously severed diplomatic ties between some EU nations and Iran are likely to be re-established over the short and medium term. Specifically, Iranian flagged cargo ships and aircraft will regain the privilege of using EU ports and airports, which will certainly boost trade. The key commodities in the future Iran-EU relationship will be, predictably, oil and gas. The E3/EU group has much bigger problems on its hands – namely Russia and the Greek financial crisis – that are far more pressing than the Iranian issue has ever been. The continuation of the Ukrainian conflict has forced Europe to diversify its energy supplies away from Russia by any practical means. It would be no surprise to see firms like BP and Total jump into the Iranian production lines at the earliest opportunity. Not unlike the US, the EU is wholly disinterested in being militarily involved in the Middle East’s conflicts. The EU would also like to see IS disappear while expending as little effort on that goal as possible. The Ukrainian conflict, Greek financial crisis, illegal immigration and Russian maneuvers on NATO’s frontier all outrank Iran-related security concerns in the EU right now. The JCPOA allows the Europeans to take one of their many problems off the list of high-priority issues. Russia has been less involved in the actual negotiation process than the US and E3/EU, but there can be no doubts that it sees advantages to having Iran back on the world stage; the precise terms of the agreement are less important to Russia than they are to other signatories. Russia and Iran have a common cause in supporting the Assad regime in Syria, so a tighter relationship between Iran and Russia is likely to develop over the next several years. The removal of UN sanctions targeting Iran will open up opportunities for struggling Russian businesses, especially in the defense and energy infrastructure sectors. Rosneft and Gazprom are just as likely to carve niches in the Iranian energy market as any European energy firm, and increased Russian arms sales to Iran are almost a certainty. Russia’s foreign policy game is a complicated one right now, and Moscow has certainly not made many new friends in recent months. Iran is also looking for new friends as it comes out of its shell. It will be interesting to see how the two nations align, but even more importantly, where they diverge. The two countries may have a mutually beneficial relationship and shared interests, but they do not necessarily trust one another. Like Russia, China has been a more passive member of the negotiations. If China was not a UN Security Council member, Beijing probably would not have been directly involved at all. But the importance of the UN sanctions against Iran forced China to play a role in the process. As with Russia, the precise terms of the agreement are less important to Beijing than the broader opportunities for trade and strategic realignments that have arisen. The strategic benefits for China are not as great as they are for the aforementioned signatories. China will grow its existing trade relationship with Iran, especially since every Yuan counts in Beijing these days. It will be interesting to see if China will try to recruit Iran into its sphere of influence via the Shanghai Cooperation Organization (SCO) economic bloc. The Asian Infrastructure Investment Bank (AIIB) will be another body to watch as global financial actors take aim at Iran. China is an important member of both the SCO and AIIB, alongside Russia. Iran could be more partial to financial tools and economic benefits offered by these bodies instead of their Western counterparts, the World Bank and International Monetary Fund (IMF). China may also look to Iran as a potential partner for its investments in Afghanistan. Israel has nothing to celebrate as a result of the JCPOA, and Prime Minister Benjamin Netanyahu is making it known to the USA that he is an unhappy man, through both public remarks and private talks. Israel will be making a big lobbying effort to turn Senators against the deal in a last-ditch attempt to prevent its ratification, but it will almost certainly fail. Given the fire and brimstone rhetoric coming from Jerusalem over the past several months, one would expect the deal to be Israel’s death knell. In reality, the opposite is likely true. Israel now has a direct line to Iran via diplomatic channels in Washington, and vice versa. Even sworn enemies can talk politely on occasion, especially when their interests align. Sure, Israeli forces have been intermittently at war with Iranian supported militants like Hezbollah for decades. But Hezbollah, Iran and Israel all now have a common enemy in the Islamic State. At the very least, Israel probably will not interfere if Iran wants to support the Assad regime and Hezbollah in its fight against IS. But Israel will certainly jump into the fray if anyone threatens its territorial sovereignty, but only its direct neighbors could pose such a threat. The Israeli government’s primary task is self-defense, and this deal will only amplify that reality. Israel’s geostrategic position is never good, but it has been much worse than it is today. The GCC nations of Saudi Arabia, Kuwait, the United Arab Emirates (UAE), Bahrain, Qatar and Oman are nearly as unhappy as Israel. These nations share historical memories that predate their modern countries, and all see a common, imperious enemy waking up on the other side of the Persian Gulf. These Arab nations know that the wealth and prosperity they accumulated over the past decades would have been far more difficult to aggregate in the face of Iranian power, and they took full advantage of Iran being hidden inside its shell for so long. As a result of high oil prices and American interest in the region, the GCC nations have been able to bolster their military prowess over the last decade. Iran could not easily take on the GCC in a direct confrontation. But the GCC states are worried about covert Iranian support for minority groups that could create civil unrest or spark additional domestic terrorism in their own countries. Sunni leaders have long suspected Iran of attempting to create civil unrest among Shia minority communities in GCC nation in the hopes of causing revolutions to bring new, Iranian approved governments to power across the Gulf. The Sunni-ruled GCC nations won’t tolerate Shia uprisings, as evidenced by Saudi Arabia’s willingness to engage the Houthi rebels in Yemen. GCC governments also oppose Sunni jihadist movements like IS, but they will not cooperate in any counterterrorism efforts on that stage. Turkey is in the midst of serious political flux. The ruling Justice and Development Party (AKP), led by President Erdogan, lost absolute power in recent elections, and Turkey has yet to form a new government. Meanwhile, it is surrounded by foreign challenges: the Greek economic crisis in the west, Russian resurgence to the north, a medley of intensifying civil war, jihad and Kurdish separatism in the south, and now Iran’s reappearance onstage in the east. The Syrian civil war is the top priority right now in Ankara, and to that end Turkey is reconsidering an incursion into northern Syria to create a buffer zone against the Islamic State and maintaining control over Kurdish militias (the idea was on the table last October). Turkish foreign policy is always rather opaque, and that is just the way Ankara likes it. The JCPOA does not appear to threaten Turkish objectives in the immediate future. However, Iran’s consequential resurgence onto the scene does not bode well for Turkish foreign policy objectives over the long term. While Turkey is no fan of the Islamic State, Ankara is still a member of NATO and a fierce opponent of the Assad regime, and therefore is unlikely to cooperate directly with Iran on anti-IS efforts. Furthermore, Turkey trusts Iran about as much as Israel. Ankara could be concerned about Iran supporting Kurdish separatist efforts, which would create enough internal turmoil to take Turkey off the world stage for some time. Altogether, Ankara sees Russia moving south, the Syrian and Iraqi civil war spilling north, and a resurgent nationalist movement among the Kurds. Adding an ambitious, confident Iran to the mix will make Turkey very uncomfortable for the next several years, but Ankara probably won’t play its cards until someone forces its hand. Iran’s foreign policy sights are set on the three highly vulnerable countries of Syria, Iraq and Yemen. Syria and Iraq are sharing a civil war, and both nations are home to Shia controlled governments fighting the Islamic State. In Syria, the situation is even more complicated as a bevy of militant groups jostle for control of the country. Iran would love to have friendly Shia governments secure in both Iraq and Syria, as this would form a belt of Shia nations stretching from Tehran to the Mediterranean Sea. Both Damascus and Baghdad already depend on Iranian aid to some degree; these relationships will only tighten as the Iranian economy improves and Iran expends more resources in Syria and Iraq. 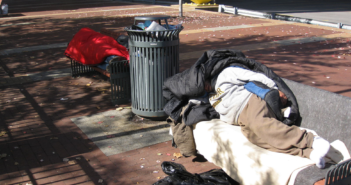 Both governments will accept as much aid as they can for the least costs, and Iranian demands are likely to be light. Yemen is a different case from Syria and Iraq, since it is a battleground for the Iranian-supported Houthi rebels against Yemeni government forces, the Saudi Arabian military and a smattering of jihadists. Saudi Arabia needs to keep the entirety of its peninsula secure, and will not tolerate an Iranian puppet regime sitting on its southwestern doorstep. The presence of Iranian Scud missiles across the Persian Gulf is enough of a challenge for Riyadh; it cannot afford to have a second front open up in Yemen in any potential conflict with Iran. Tehran can distract Saudi Arabia, and by extension the whole GCC, by supporting a limited Houthi insurgency in Yemen at a relatively low cost and low risk. Iran will continue to support its proxies in Yemen in the near term to keep the GCC members on their toes, testing their patience. One question remains that must be answered to justify the agreement: What if Iran already has the bomb? By signing the agreement, every signatory has taken a tremendous risk, while GCC nations and Israel are left to solemnly consider their new security concerns. If it was discovered that the Iranians stashed away a nuclear arsenal while under watchful eyes for all these years, it would be the counterintelligence victory of the decade, and Israel would certainly make the most of its “I told you so!” opportunity. But regardless of whether Iran does have the bomb, it still makes sense for the negotiating parties to conclude this agreement, for several reasons. First, there’s a good chance the IAEA would discover a hidden nuclear weapons cache, or they would be blocked by the Iranian government from inspecting a suspected arsenal, which would be a violation of the JCPOA. While the IAEA is responsible for the actual inspections, there can be no doubt that a troupe of Western intelligence agencies will feed the inspectors leads and tips while they continue scouring the Persian landscape for nuclear compounds. Either the discovery of illicit materials or a blockage of IAEA activities would indicate malign intentions in Tehran; the sanctions and military posturing of the past decade would snap back into action shortly thereafter. Secondly, Iran remains vulnerable to second-strike counterattacks from nuclear capable enemies, such as all-but-certain-to-exist Israeli nuclear weapons or nuclear missiles launched from US submarines. Thus, the Cold-War era theory of Mutually Assured Destruction (MAD) stubbornly persists in our post-Cold War world. The US is not abandoning their Arab allies in the Gulf Cooperation Council (GCC), contrary to popular belief on “the Arab Street.” The GCC member nations and Israel have been busy developing their economies and militaries with US aid ever since 9/11, and will continue to beef up their security apparatuses in the future. Quiet Israeli-GCC cooperation will continue unimpeded for the near term, as Iran becomes a common problem and Palestine (remember that place?) falls by the wayside. The evidence speaks for itself: in February, Saudi Arabia granted Israel permission to use its airspace in any future strike against Iran in return for unspecified “progress” from Israel on Palestinian issues. Furthermore, Saudi Arabia bought $1.75 billion worth of Patriot air defense systems from the USA last year to defend against Iran’s considerable arsenal of missiles and rockets. Third, the strategic benefits for all the signatories far outweigh the costs. Iran has capitulated to most every demand made by Western negotiators in the deal, and that alone shows how desperate Tehran is to conclude the deal. The White House has been gloating about the deal, and has been on a major public relations campaign to generate popular support for it. US Secretary of State John Kerry even claimed that he walked out of the talks on three occasions over the years of negotiations, and that the Iranian negotiators eventually agreed to demands made by Western powers in order to continue the negotiations. The US and its European allies have made a huge step in crafting a sustainable balance of power in the region. Crafting a Middle Eastern arrangement that can exist without active oversight and military intervention has been a goal of Western powers since the occupation of Iraq went downhill shortly after the initial invasion. Iraq is still a work in progress, but the West is confident that the GCC states are strong enough to counter Iranian influence while (hopefully) pounding away at the Islamic State. Having the Iranian segment of the Middle Eastern equation figured out is a massive accomplishment. As for the Iranians, they have been given an opportunity to come out from their isolation and retake their historical place as a regional power based upon the lands of ancient Persia. They will look for opportunities to skirt provisions of the deal, as any self-interested power would, but they cannot afford to squander their ascent. Direct military engagement would cost Iran the opportunities for development it has worked to achieve over the last several years. So what are the odds that Iran has nukes? Well, that depends on who you ask. You might believe “Reza Khalili”, who wrote a Washington Post article under a pseudonym in 2011 in which he claimed that he was a CIA spy and that the Iranian regime had acquired nuclear weapons from old Soviet arsenals. You might also choose to put faith in Foreign Policy Magazine’s 2015 argument by Graham Allison, who claims the Iranians merely have the capability to produce nuclear weapons in short order if needed. Or, you could go with the testimony of senior US officials, who claimed in a 2012 New York Times article that Iran doesn’t have nuclear weapons and only wants the capability to produce them. Regardless of if Iran has nukes, has the capability to produce them, or has neither, the deal still makes sense for all of the reasons outlined above. If they do have nuclear weapons, that makes the JCPOA pills much easier to swallow, and the Iranian government is probably struggling to keep a straight face after successfully bluffing the entire world. But logic still compels Iran to sign the agreement even if they don’t have any nuclear weapons stashed away. Remaining a political pariah and isolating a population of 77 million people from the world just for the sake of building weapons that are unlikely to be used outside of World War III doesn’t make sense from any pragmatic standpoint. “The Iranians aren’t pragmatic! They’re radicals!” screams Jerusalem. Well, some are, but not all. The Iranian leadership today is not made up of the angry mob that stormed the US Embassy in Tehran all those years ago. President Rouhani is not Ahmadinejad; Rouhani is a comparably level-headed career diplomat and academic, and has written books like his 1,200 page tome National Security and Nuclear Diplomacy. Political rhetoric in Tehran may be radical, but the thinking going on there is very realistic. The current government understands that Iran is outgunned and outnumbered by the American, Israeli and GCC militaries. Self-destruction is not on the table in Tehran. Thoughts? Opinions? Disagreements? Feel free to leave your ideas down here in our oft-neglected comment section. 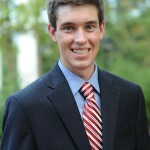 Jack Anderson is pursuing an independent degree in Geopolitics of Central Asia at Washington and Lee University. In the summers of 2013 and 2014, he studied Azerbaijani under the Department of State’s Critical Language Scholarship Program. Jack has also served as a remote intern for the US Embassy in Baku, Azerbaijan. He recently returned from Baku after studying as an exchange student at the Azerbaijan Diplomatic Academy. While in Azerbaijan, he conducted research trips to Georgia and Kyrgyzstan. On campus at Washington and Lee, Jack is a member of the club baseball team and handles logistics for several student organizations. His other academic interests include geology, economics, international security, game theory and strategic studies.